After many years on the shelf, boing is back in a major way. After a long hiatus to research and develop other cushioning technologies including Lunarlon, Nike decided it was finally time to bring back the Shox line in an upgraded fashion. Originally debuted back in 2000, the Shox technology was a major development for the Swoosh, but only really made it&apos;s mark when Vince Carter jumped over 7&apos;2" Frederic Weis wearing the Nike Shox BB4. 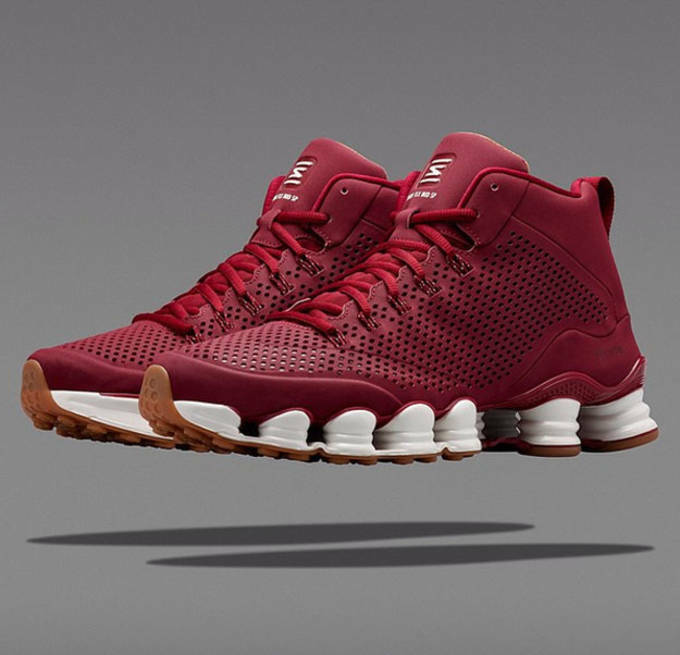 Today, we get our latest look at the Nike Shox TLX Mid SP in three fresh colorways. The first comes in flashy metallic silver look, while the others are more toned down with a red and gum colorway, and a murdered out all black look. 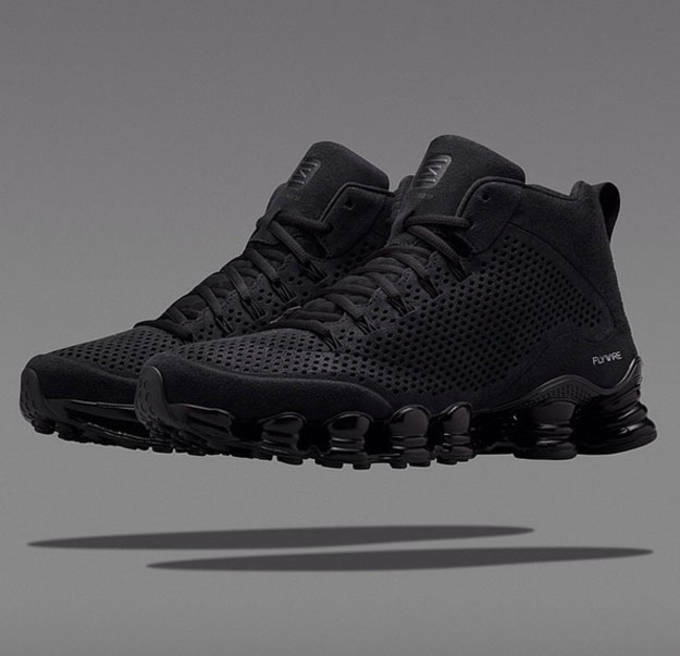 The shoes feature premium leather, although it only took 15 years to resurface, are outfitted with upgrade Shox technology which is designed to offer a energy-efficient cushioning that enhances durability, spring, and impact protection. The red and black colorways will be available beginning October 9 at all major Nike retailers. Those waiting for the flashy silver version will have a tougher time scooping their pair, as it&apos;s limited release through the Nike Lab which will be available beginning October 23.